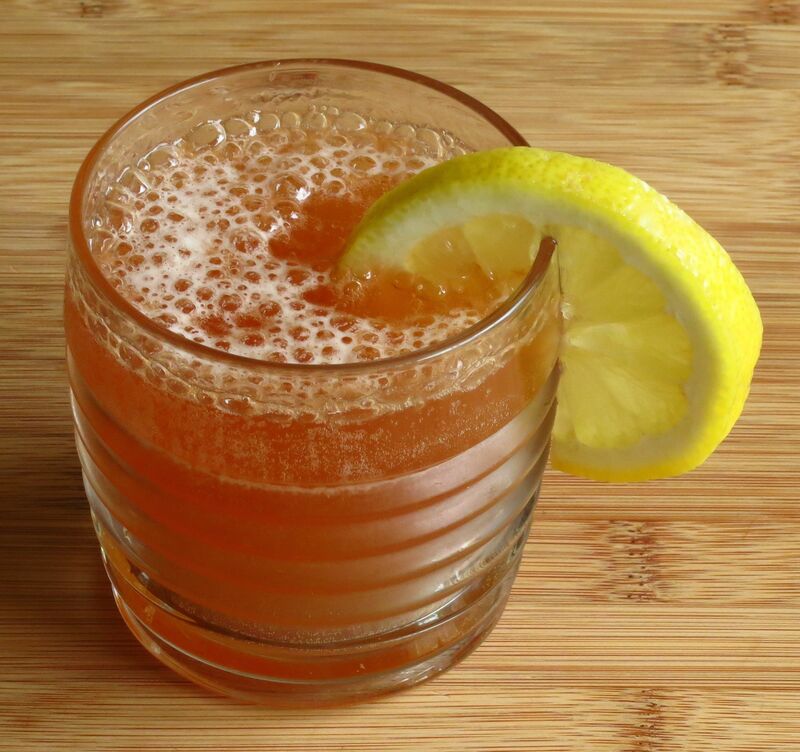 This week, we play around with fizzes, a versatile style of drink that lends itself to hot weather quite well. We were inspired when we came across our bottle of sloe gin while searching the cupboard for a different ingredient, and thought “Hey, we haven’t used that for a while. What should we do with it?”. Well, a sloe gin fizz, duh 😉 Though good sloe gin is a very nice thing and there should be more drink recipes for it. Something to put on the to-do list. 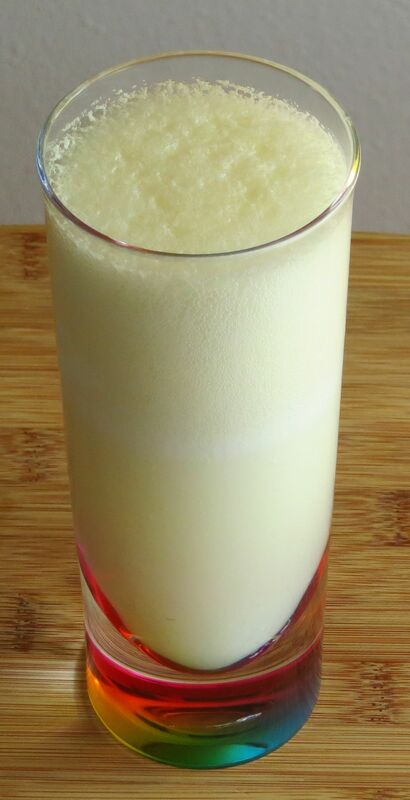 Anyway, we did a bit of research and poked through Embury, and decided to make three types of fizzes – a “regular” fizz with no egg white, a silver fizz that does have egg white and is very like a traditional sour, and a New Orleans fizz that includes cream in addition to the egg white. Read on to see how the fizz experiment went. We started with the sloe gin fizz that inspired us. It’s the lightest of three, not terribly nuanced but still tasty and refreshing on a hot day. It’s worth the effort to track down a real sloe gin that’s made with fruit, the taste really is quite different. Shake all ingredients except soda for 1 minute. Top with soda. Garnish with a lemon wheel. Enjoy! Palate: Little bit of apple and gin botanicals on the front. Mid-palate is lemon and caramel-y cooked fruit like roasted plum jam. Finish is astringent gin botanicals and lemon peel. Light mouth feel, fizzy, refreshing. Next up, we wanted to try a silver fizz, and since we always like to experiment, we thought we’d make one of our own. We didn’t go too far off the beaten track, making a fairly traditional rum fizz with the addition of amaro (we used the Nardini) for a little interest. Dry shake all ingredients except soda. Add ice. Shake for one minute more. Strain into a glass. Top with soda while stirring. Put a few drops of bitters on the foam. Cheers! Nose: As is typical of most sours, it doesn’t have much of a nose. Little bit of clove from the bitters. Slight metallic note from the egg white. Mild caramel barrel and herbal notes. Palate: Nice rich creamy mouth feel to start that turns into a dry and tannin-y mouth feel at the finish, which keeps it from being too heavy. Very integrated with herbal root beer throughout. Caramel oak notes show a little on the mid-palate, and some sweet lime on the finish. Not an overly complex drink but the changes in mouth feel give it some interesting character. Finally, we thought we’d go whole hog and try a New Orleans fizz. Christa doesn’t usually like dairy in drinks (Tom & Jerrys excepted! ), but what the hey, it’s good to stretch your boundaries. The Ramos gin fizz is the classic in this category, so we went with that. It’s not obvious from this shot but there’s butter in that foam. Unexpected! Dry shake all ingredients except soda to help emulsify. It will not emulsify like an egg white drink normally does. Add ice and shake for 2 minutes. Yes, 2 minutes or longer even (apparently the original called for 12! minutes). Strain into a glass. Add soda water while stirring. Cheers! Nose: Orange flower, vanilla and cream. Like a flowery creamsicle. Palate: Lighter mouth feel than you’d think. Gin and citrus on the front, followed by cream and orange flower. Sweet, lightly floral finish with a hint of the more astringent botanicals of the gin. 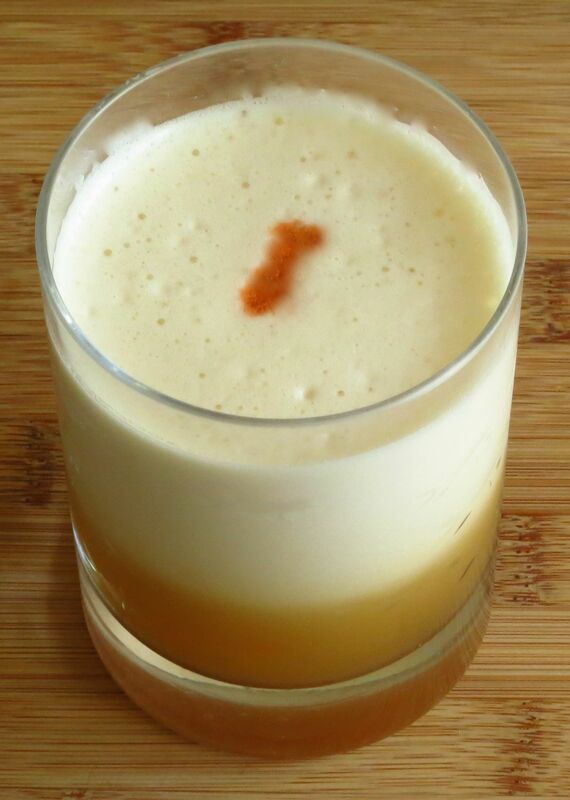 This entry was posted in aged rum, cream, egg white, gin, lemon juice, lime juice, orange flower water, simple syrup and tagged booze nerds fizz, ramos gin fizz, sloe gin fizz. Bookmark the permalink.